Laservision are creators of unique and unforgettable sensory experiences. We harness the power of light, water, fire and other high impact mediums to evoke the senses, connect audiences with their environments and create enduring memories. For over 30 years, our Mega Media entertainment and creative solutions have focused on four prime areas of speciality – Permanent Attractions, Projection Mapping, Architectural Lighting and Special Events. We offer a complete suite of services and products including conceptual development, creative production, technical engineering, research and development, project management, and operational and maintenance support services. We specialise in producing large-scale, high impact, Mega Media solutions utilising the latest in entertainment technologies designed and developed by Laservision’s government approved research and development facility. Shows are becoming increasingly more complex to meet the growing demands of modern audiences. Laservision’s research and development team continue to deliver exciting new entertainment technologies and innovative creative content. 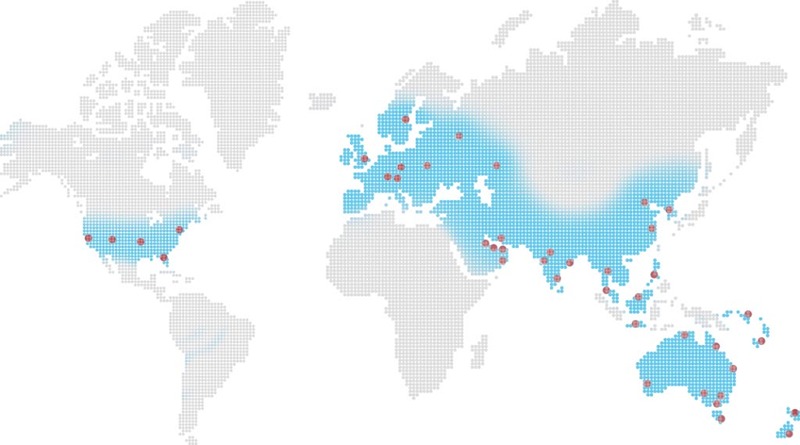 Our government approved R&D facilities have obtained international patents and recognition for its ingenuity. Read more about our unique Mega Media technologies here. Laservision provides our clients with proven solutions that generate a greater return on their investment. With our unique Attraction Development strategies and processes, we provide complete solutions from initial concept through to final deployment and operational training and maintenance. Creative concepts are brought to life by our talented artists, producers and show designers. Our expert engineering and technical departments with skillsets including structural, civil, mechanical, hydraulic, electrical, software, computer, electronic, marine and mechatronic engineering; bring these concepts into spectacular reality. Read more about our expertise here. With over 30 years’ of active experience in the entertainment industry, our original creations are enjoyed by tens-of-thousands of people around the globe each night. Working closely with our clients to design and create unique sensory experiences, Laservision is constantly devising new and innovative techniques and technologies to evoke the senses and produce world-class spectaculars. Turnkey SolutionsProvide a full suite of services from initial conceptual development through to the operation and maintenance of our clients’ unique attractions. Green TechnologiesDevelop and utilise energy efficient technologies to minimise environmental impact whilst maintaining a high impact, premium spectacular. Be DifferentWe’re a quirky bunch at Laservision. It takes a unique set of individuals to create a truly spectacular and inimitable outcome for our clients. Inducted into the "Australian Export Hall of Fame"
"NSW Business of the Year"
Laservision has had the privilege of working with a vast range of clients over the years. We work collaboratively to design, develop and implement our clients’ vision whilst taking care of all of the finer details along the way. 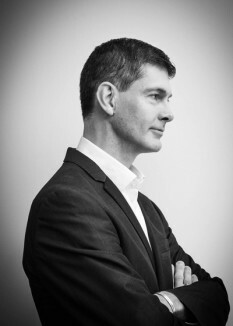 For over 30 years, Founder and CEO Paul McCloskey has led a highly skilled team of experts in designing and developing world class Mega Media Architectural Lighting, Permanent Attractions and Special Event productions around the globe. The Laservision team comprises of a quirky bunch, handpicked for their individual skillsets and most importantly their ability to dream big. Meet some of the Laservision team below. As the founder and Chairman of Laservision, Paul has a strong passion for inventing new and unique technologies for the entertainment industry. This passion coupled with a desire to create unforgettable sensory experiences has driven Laservision to be the world leader in large scale architectural lighting, permanent attractions and special event productions. 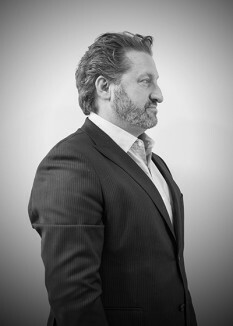 As the Chief Executive Officer for LASERVISION, Shannon’s leadership and business acumen have been uniquely enhanced by his marketing background, enabling a diversified insight into management that covers both the perspectives of high client demand and consumer requirements. Shannon has played a pivotal role in multiple award-winning LASERVISION installations around the world and is a leader and innovator within the Company. With over 20 years’ experience in the electronics industry, John has held senior, client focused management positions in a range of companies. Joining Laservision as the Business Development Manager, John was promoted quickly to his current role of Director of Business Development International and is the pivot for all business opportunities that approach Laservision. 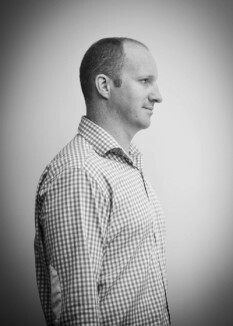 As Chief Financial Officer, John is a valuable asset for our creative driven business. His leadership and strategy allows Laservision to confidently invest in new R&D opportunities in entertainment technology and committing to large-scale, world-wide projects, keeping Laservision at the forefront of our industry. John has held numerous senior financial and management positions in a range of industries including retail, hospitality and franchising. It is this experience that gives him a unique perspective on the intricacies and realities of growing a strong and healthy business. As Director of Resources for Laservision Mega Media, Hayley’s prime areas of focus are: talent acquisition, change management, employee engagement, process architecture, workplace culture and establishment in new regions. Over the past decade, Hayley’s career as a Resource and Strategic Planning Specialist within the Entertainment Technology Industry has taken her around the world, with secondment roles in Asia and the Middle East. As a result, she takes a progressive and global approach to strategy and workforce management. Together with her Colleagues, she has built a spectacular international team of creative, technical, design and management specialists representing over 14 nationalities. 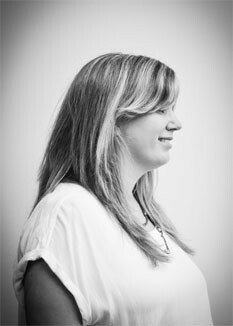 Laservision’s team is a melting-pot of cultures and a tapestry of expertise, and is a source of pride for Hayley. Michael has a deep understanding of modern business relationships and a drive to make our clients a number one priority. His pursuit of customer satisfaction and his unique understanding of entertainment technologies makes him a key asset for LASERVISION and our clients. 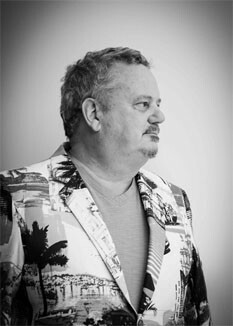 With a wealth of knowledge and networks in the international entertainment industry, as well as in media, PR and brand management, he understands our clients’ end goals for increasing footfall and dwell time to their properties and events through the creation of spectacular attractions and entertainment technologies. 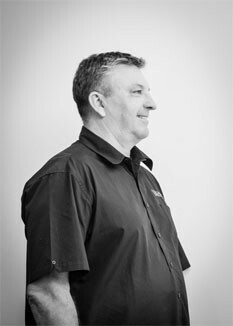 With over 20 years’ experience in the electronics industry, Daryl brings a unique skillset to Laservision that incorporates the development, design and integration of both hardware and software, as well as finding unique solutions for the intricacies of mega media architecture. With an added flair for creative, Daryl is an integral part of the Laservision team & has been instrumental in helping bring to life Laservision Mega Media attractions all over the world. Daniel has over 10 years of progressively responsible IT Management experience with companies ranging from large multi-nationals and household names to small IT service providers. 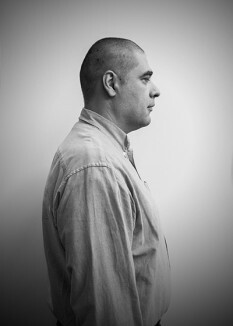 As Chief Technology Manager, Daniel brings a wealth of experience and best practice knowledge to the Laservision team. Daniel has successfully coordinated multiple large international IT projects ranging from security and communications to infrastructure and business process automation. Daniel’s experience is invaluable to Laservision’s projects, operations and technology infrastructure as we drive increasingly larger and complex Mega Media outcomes for our clients. With over ten years of experience in the entertainment and tourism industries, Matthew brings his talents, energy, and attention to detail to our Marketing and Creative Departments. His exceptional project and event management skills paired with his creativity and technical prowess make him a unique and adaptable asset to Laservision. With over 20 years of design and management experience, Brad provides a unique set of skills to the Laservision team as the Design and Development Manager. With expertise in Naval Architecture, Mechanical Engineering, Design and Project management both in Australia and the Middle East, Brad leads the installation team on every international project. 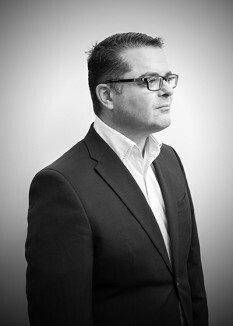 Brad has successfully coordinated multiple large international projects simultaneously, and implemented numerous product designs enhancing Laservision product offering and the unique outcome provided to clients. With a Bachelor in Engineering and over 15 years’ experience in the Laser industry, Robert now heads up the Laservision Hong Kong Branch. Robert has played a pivotal role in the ongoing development and success of Laservision since 1995. During this time, Robert has been a key resource in every project Laservision has undertaken. Patrick joined Laservision from the television industry with positions involving extensive travel and improvisation at unusual locations. Patrick brought with him a variety of skills including video camera capture, editing, broadcast, complex electrical knowledge, sound reinforcement and audio recordings, DMX and lighting integration and a plethora of other skills. 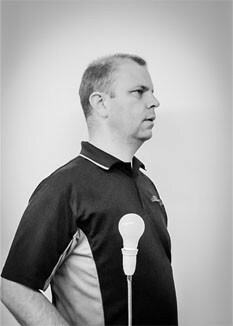 Patrick is also a licenced electrician which provides a sound knowledge for installations from the ground up. Having spent 25 years project managing a number of Laservision’s global projects, Patrick is one of our most experienced Project Managers. 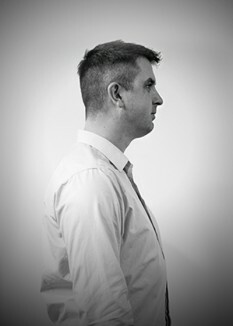 Andy is an exceptionally adaptable person who has more than 20 years’ experience in the construction industry. He has extensive experience within the domestic, commercial, industrial and mining sectors. Andy has broad knowledge across all areas of design. He can implement, integrate and install in any situation and in any location. He has great interpersonal skills with both consultants and contractors which are integral to providing the end solution for our clients. We are always looking for talented and passionate people to join our ever growing team. If you would like to be part of an entertainment communications revolution, please send your CV and a little bit about yourself to [email protected].